and yielded them to the practice of the Master’s commands. In the form of fire, the radiance of the Spirit descended on you. He made you His chosen vessel. 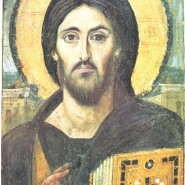 most honourable Apostle James, eyewitness of Christ. you enlightened those who sat in the darkness of ignorance, glorious James. Through faith, you revealed them to be the children of God the Master. wise, faithful, and inspired disciple. with which you burned away the thorns of the nations’ godlessness. and in the name of Christ power to drive away the princes of darkness. preaching Christ’s first and second coming. showing forth the original grace of divine, natural life. You were called the son of the grace of God. you were manifest as a sincere disciple of Christ. you gave yourself to the calling in of the Gentiles. who is the Saviour of our souls. but because you are Christ’s apostle; a preacher of his ineffable incarnation. pray without ceasing that our Saviour and God will save us. Holy apostle James, intercede with the merciful God* to grant to our souls* forgiveness of sins. 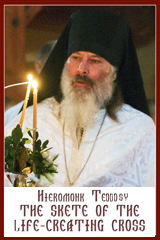 Troparion, Tone 3: Holy apostle, James, intercede with the merciful God* to grant our souls* forgiveness of sins. Kontakion, Tone 2: With praises let us all extol James as a herald of God;* he firmly planted the doctrines of wisdom in the souls of the godly. * For he stands before the Master’s throne of glory* and rejoices with all the angels* unceasingly praying for all of us. Their utterance has gone forth into all the earth,* and their words unto the ends of the world. verse: The heavens tell the glory of God, and the firmament declares the work of His hand. verse: The heavens shall confess Your wonders, O Lord, and Your truth in the church of the saints. verse: God is glorified in the assembly of the saints. Their utterance has gone forth into all the earth,* and their words unto the ends of the world. * Alleluia, alleluia,* alleluia.